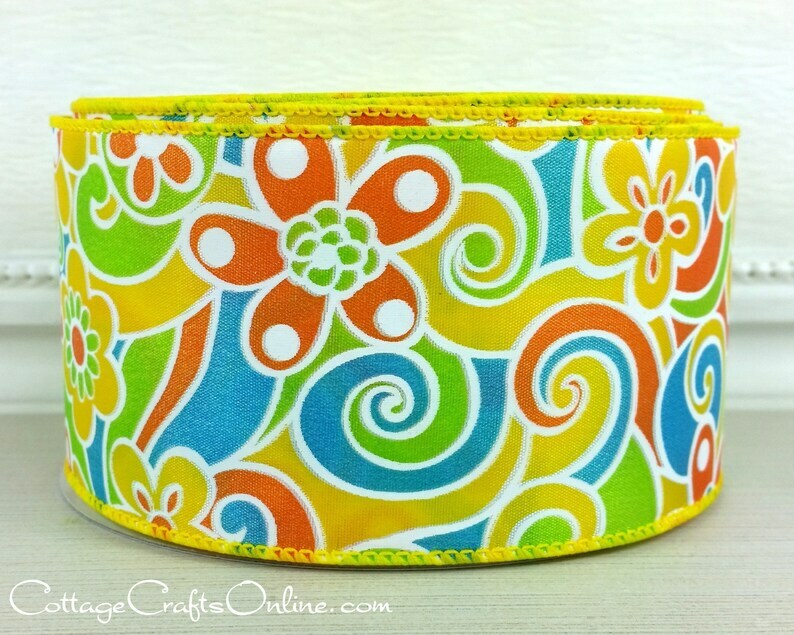 Pop art style floral print, with yellow and orange daisies and large swirls of blue, green, yellow and orange on taffeta wired ribbon, 2 1/2" wide. Ideal for spring, Easter, Mother's Day and summer projects! This listing is for a 25 yard roll. RETURN POLICY: Please choose carefully as seasonal ribbons, including this item, are not returnable.